The perfect spa retreat for groups! 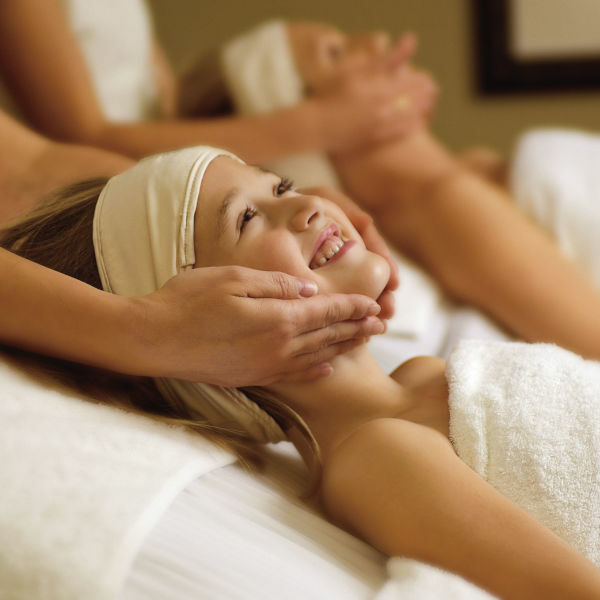 Start with a customized facial, followed by 60 minute Sabai Relaxation or Therapeutic Massages. Our Zen Ritual includes a customizable facial, as well as a Ritual Spa Pedicure. Enjoy a 60 minute Sabai Relaxation or Therapeutic Massage, followed by a Ritual Spa Pedicure. Our Aesthetics Area is perfect for groups and bridal parties. Each Guest will enjoy a Lemongrass Manicure and Lemongrass Pedicure. Only Guests age 16 and under! Each Guest will enjoy a Teen Manicure and Teen Pedicure.